I was quietly trading on an alt, when our fearless alliance leader, Bahamut420, jumped into channel and very loudly declared himself. Okay, so it probably wasn’t that loud but I nearly fell out of my chair. Things have been really slow lately. There’s not a lot of Amarr around, and I think after the past few months of shenanigans everyone is kind of just taking it slow, or even taking a break in general. We’re having a lot of fun dueling with Agony. They have been putting a lot of pressure on taking Kamela back, oddly enough. I say oddly, because they really don’t seem to have very many numbers and yet they seem to be doing a pretty good job at it. They seem like a cool alliance. Some of their members are more derpy than others, but that could probably be true of anyone. Also, they seem to enjoy the ultra-small gang warfare that my alliance mates prefer. It’s common these days to have little 2 on 2 or 3 vs 3, or 1 vs 3 or etc. We heard reports that Almity’s gang was floating around so we ganged up with BCs to see if they’d engage us, if they ever came around our direction. The night before was interesting, and a true example of how your personal perceptions can really change your view on an entire engagement. “Last night I showed my fleet to the Minmatar. Let them get a real nice look and then hung around waiting for a response. I always try to mix things up. Some nights I will try to hide part of my force to get that upper hand. other times, like last night I just lay all my cards on the table and see what comes. As I watched the Minmatar form up and head out things looked good. We wanted a fight, they were undocking so I could only assume they were looking to brawl also! Happy times all around. We were in Shield BC with fast tackle. The Minmatar were bringing the same. Then came the Battleship. Scorch Mega Pulse or maybe even beams were not something I was looking to fight. We were pretty evenly matched till that point. Unfortunately its tank and damage projection was more than I wanted to deal with. Instead of getting a nice brawl with the Minmatar I took my fleet elsewhere. I found this an interesting account, as we had an entirely different experience on our end. In the beginning, we had 4-5 people in fleet. We were chasing a random Tornado around. Unfortunately, as he hit armor, he jumped through the gate. Thankfully, a fleet member was on the other side to catch him. 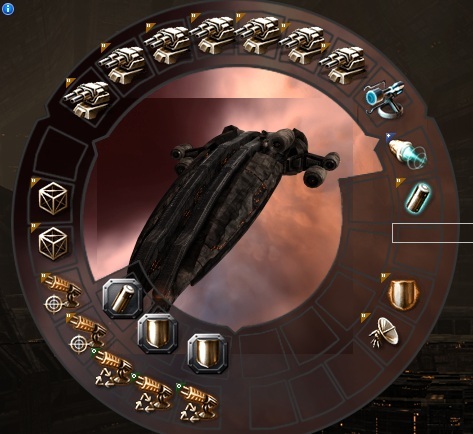 He reported around 17, mostly in battlecruisers. So, we started to get more people in fleet and discuss ways to go after them. With fleet only climbing to around 9-10, some suggested brining a couple bses to give us some more DPS against their numbers. Apparently, only one person actually ended up bringing a bs, the rest of us shipped to BCs. We found the WTs eventually, and noticed they had much fewer numbers then 17. In fact, they had, as Almity points out, similar to our own numbers. It was then that we realized that the 17+ from before had actually been two separate fleets that just happened to be in the same place at the same time—Agony and I.LAW. From our perspective, we were a bit outnumbered and shipped for the circumstances. To Almity’s perspective, we were douches bringing a gun to a knife fight to get easy kills. This night, however, we kept the BSes at home and just shipped into BCs, cruisers, and other misc stuff straight away. Our scout reported that the I.LAW fleet was warping at range to gates and kiting off, so many of us shipped into long range drakes so that we wouldn’t be completely useless against them. Finally, we found the I.LAW guys, some distance off a gate. Even though we were jumping into them, and they had a faction BS with them this time, we leroyed it. We killed the Huginn first, so that our epic frigate pilot Braitai could jump into the fray and move about unhindered. Shortly after he landed on field and started his magic he declared scram on the Macherial that was 70k. He then held the point as we attempted to burn toward him and get additional points. It took a little while in BCs, and Bahamut420 was getting very excited. “Guys! I’m 10k away from getting a secondary point…..8K….someone call it if you have a secondary point!” Finally, I got a long point just as several other started declaring points, and the Macherial was toast--Thanks to one hell of an interceptor pilot. After looking at the loss mail, several noted that if RTS had fit a neut instead of a salvager in his utility slot, he probably could have eliminated Braitai’s point and gotten away. Live and learn I guess. Everyone in LNA has a lot of respect in general for the Mach pilot. He’s got blingy stuff and he’s not afraid to fly them in risky combat situations, unlike many other people who tend to keep their shiny things for the ‘safe’ encounters. Anyway, the whole fight is muddled to me after that. I ended up looting the Macherial, noticed some things that looked blingy, and seeing that almost everything was burned out on my ship decided to get the hell off the field. Then again, there's something to be said also for forcing a fight and MAKING the enemy fight on your terms. But the real question here is: are you guys (and by that I mean all parties involved, not just your side) at war, looking to destroy ships and take territory? Or are you just playing "Team Deathmatch: Internet Spaceships Edition", and converting the "roflkets...no skill! n00b!" "hey quit spawn-camping!" "hurf sniping is ghey! get SMGs and see how bad u r then?!?!" into EVE lingo? I don't know if I would call it Leeroying when you have 9 drakes, but, that was a pretty good straight up fight and I enjoyed it. I don't mind getting beat down if it's an honest beat down. We made a few minor errors that cost us. We ended up killing a drake, a naga, and a blackbird, I believe. So, you guys came out ahead. It happens. Anywho, should be seeing a lot of each other from now on. Not too many Amarr left these days. At least we aren't hiding in little hidey holes. That Naga fit was...... Interesting. Wu is special. My all time favorite memory of Wu was when he and I were about to engage some WTs in a plex and as we stack up on the accelgate he shouts over comms "OMG I HAVE TO POOP!" and goes MIA for like 10 minutes as I guard his AFK ship. ._.